To recover from our sunburns we took the day off from the beach and headed to Broadway at the Beach for some shopping and lunch. We had a delicious lunch at Key West Grill and then headed out to the boardwalk for some shopping. 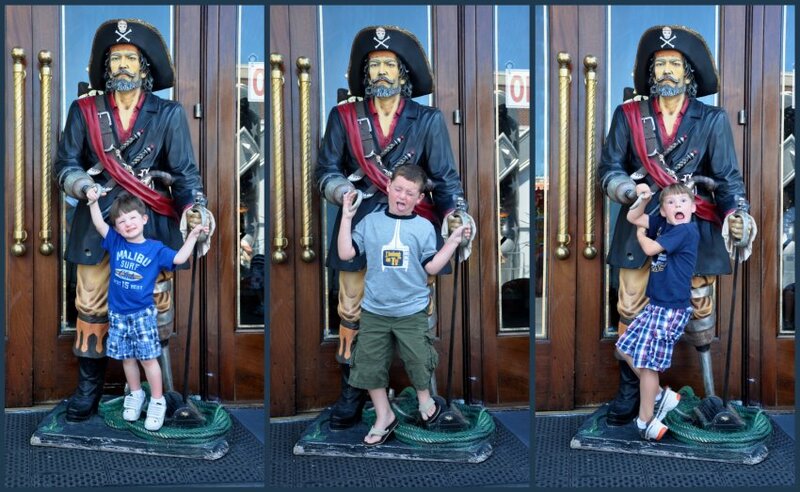 The boys all wanted to pose with the pirate at lunch. It was hot and humid out so we headed to the Ripley's Aquarium to see the fishies and cool off. We go to this aquarium everytime we're in Myrtle Beach because they have a GREAT military discount!! The sting rays were everyones favorite! !